TIM having the vision of "to render the change is to design the future” acts to insure the coordination between the public and private sector organizations and exporters and decision-makers. TIM working with the objective of being a solution center for the export issues establishes policies towards the development of the export in addition to representation duty. Turkish Exporters Assembly (TIM) as the roof organization of the exporting firms around 83,000 was established in 1993. It continues its studies on legitimate basis as the professional organization of the firms involved in foreign trade. TIM organized as a general secretary organization as being the upper organization of the associations of exporters is represented by the Chairman. The primary reason of existence of TIM is to determine the issues related to the export, conduct improvement studies, and to insure the transfer of the problems of the exporters to the highest competent authorities. TIM attempts considerably to negotiate with the upper management authorities from the international fairs in order to expand the export vision. The renovations and developments related to the world markets are followed closely; strategies are developed to insure the effective involvement of Turkish companies in international studies; and coordination is provided. In this framework, a considerable part of the studies is towards he academic activities conducted with the universities and export sectors, the prepared reports are shared with the business sphere. The Board of Directors of TIM conducts studies related to the improvement of exports, prepares reports, and gives opinions and advices. Each of the exporter firms should be a member to a association in the sector and region. The exporter firms around 83 thousand acting in 27 separate sectors in which export records are maintained conduct foreign trade transactions on 61 exporter associations organized in region and sector-wide. Such 61 associations are collected under 13 general secretaryships. Turkish Exporters Assembly is the upper organization of 13 general secretaryship and exporter associations. TIM's headquarters is in Istanbul. The organs of TIM are General Assembly, Council of Sectors, Board of Directors, Board of Advisors, and General Secretaryship. TIM representing exporters in domestic and abroad is established on the structure of the General Assembly consisted of the managements of the exporter associations. TIM represents all exporters in all levels through the most democratic elections. It establishes and operates the required mechanisms for the involvement of the members in the decision processes. It provides contact and coordination between the exporters' associations and sectors. The subjects including Informing the exporter firms of the developments in the foreign trade, statistics and reporting studies, organizing mutual exchange committees with various countries are included in the job definitions of the exporter associations. It provides online service to the members of the exporter associations thanks to its strong technological infrastructure. Exporter Associations are established by sector and regional classifications to conduct studies related to the foreign trade, to provide occupational ethic and solidarity between the exporters. Exporter Associations established in Turkey-wide in 11 different cities are organized in 27 different sectors. The associations of exporters are managed by the board of director elected in the General Assemblies convened once in four years. The Board of Directors consists of an exporter firm's representative, a chairman, and ten permanent members. As the exporters are required to be member to the association related to the profession, the exporter firm being a member to one of the associations will be entitled to export the goods under the area of the other associations without being a member in the relevant association. Exporter associations conduct studies in a wide framework from the protection of the rights of the exporter firms in legal sense through being explorer in the new market development efforts. International relations are of great importance to expand the vision of the exports for Turkey. Strategies are developed in order to achieve active involvement of Turkish firms in the international activities, and coordination is provided between the exporters. TIM claiming that export based commercial relations is the cornerstone of a world of peace serves for the establishment of world peace through the projects and establishment of relationships at international levels. TIM as the upper organization and the representative of the exporters is the pursuer of their rights in each area. Intensive lobby activity is conducted for the solution of the problems of the producer exporters in intellectual property and industrial ownership rights in the triangle of design, production and marketing triangle at international level. TIM conducts studies such as informing the decision-makers in domestic about the benefits of the exporters and making suggestions on the increase of the value added to the economy of the country. It searches for solutions through negotiations with the authorities from the state presidency to commercial attaché in the subjects including the promotion of the Turkey which has become a brand itself through its strong production structure and sturdy steps in each area, development of new markets, and elimination of the problems experienced in the current markets. The Republic of Turkey plans to reach 500 billion dollar for exports and 1 trillion dollar for foreign trade volume in 2023 as the hundredth year of its foundation. Turkish economy which shall increase export level to quintuple in thirteen years re-designs its strategy in order to produce high value added products. Turkey as the 17th largest economy in the world aims at being among the Top 10 economies in the globe in 2023 as the 100th year of its foundation. Turkey plans, designs, and works for increasing exports to 500 billion US Dollar and foreign trade volume to 1 trillion dollar. Turkey has established "2023 Turkey Export Strategy” according to this target. As the first step of the Project conducted in the sectoral dimensions, it is aimed to determine Turkey's export strategy till 2023 in macro level, adapting it for execution, and performance management. Strategy map and the framework of performance program are drawn as the output of the project through which the export vision is evaluated in three five-year periods. We, as TIM, aim at being explorer through the data network established by us by promoting the innovation-based studies, for the exporter firms investing in design and R&D continuously. The country reports based on economic, social and political analysis about the target markets at the base of the foreign trade strategies of Turkey are prepared and publicized. Any and all legal information related to export may be accessed by consulting with TIM and its experienced legal team. According to the recorded figures of the exporter associations , the export of Turkey related to 27 sectors are analyzed monthly, yearly and comparatively under the main groups "agriculture”, "manufacturing” and "mining”. Annual export reports are prepared in the nature of the data source of Turkish exports. The statistical progress in exports are followed immediately and publicized in electronic environment. TIM prepares country reports based on economic, social and political analysis about the target markets in the basis of the foreign trade strategies of Turkey. In addition, macroeconomic outlook reports are prepared monthly quarterly, and annually in order to monitor the macro economic developments such as foreign trade and inflation. Multi-dimensional support is provided to our exporter firms in order to provide information about Brand/ license laws, representation contracts, consumer laws, customs laws and similar regulations. TIM Foreign Trade Consultancy Service provides information to exporter firms on foreign trade laws and the solutions of the disputes arisen from international trade and investments. It provides consultancy service in the areas including the collection of export values, logistics and transportation law, insurance laws, banking regulations, legal, administrative, ad financial aspects in the Foreign Trade Organization and the European Union Regulations. 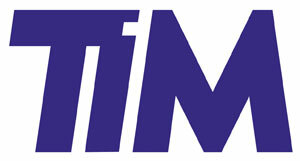 TIM aims at providing information on the subjects which may be required by the exporters and increasing legal knowledge of the firms about export through the support of the legal firms as the solution partners of TIM as being the roof organization in exports defined as the locomotive for Turkish economy.